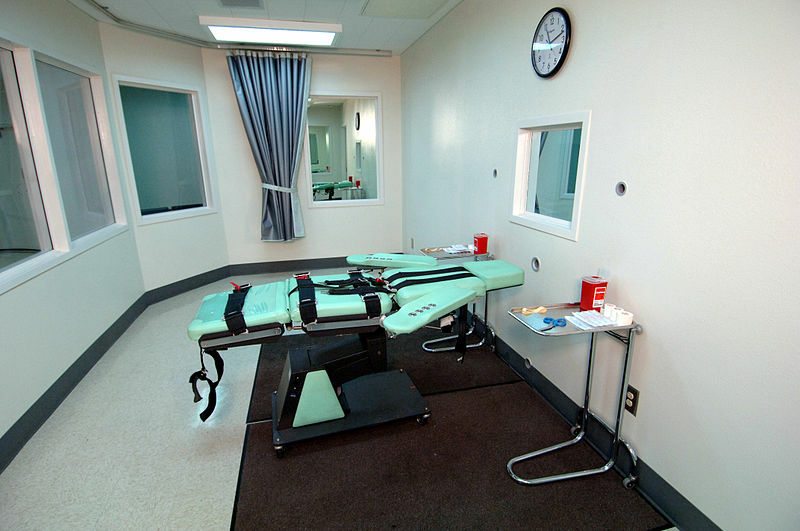 Jeremy R. asks: Why do they bother sterilizing the needles when executing people? Besides the fact that manufacturers sterilize the needles (so no real extra effort is needed), other sterilization procedures are also used in these executions for good reason. You see, a stay of execution may happen at the last minute. If this happens, but then the condemned later dies from infection, a wrongful death suit could be filed against the state -a suit the state would likely lose. While this may seem like a scenario that is unlikely to occur in real life, in fact, this is not the case at all. Relatively last minute granting of a stay of execution is incredibly common, though ones where the needle is already inserted are rare. That being said, it has happened before. Exhibit A: James David Autry. Autry was convicted of murdering convenience store employee Shirley Drouet and customer Joe Broussard, who was in the store at the time. Another customer in the store was Anthanasios Svarnas, who was shot, but not killed. What did Autry get out of this? Some beer worth $2.70 (about $7.41 today); he didn’t take any money from the cash register, just the beer. About three years after the murders, on October 4, 1983, Autry found himself strapped down with a needle in his arm, about to be injected with a concoction of chemicals that would end his life. However, at the time, there was a question whether Texas’ exact procedure for executions was constitutional. After lying there for a little over a half hour, the call came in. The Supreme Court had ruled that Autry’s execution be delayed for 30 days while they continued to review the issue. The needle was removed and Autry was taken back to his cell. Of course, five months later, on March 14, 1984, he was executed. But in the interim, had they not used proper sterilization procedures, he may well have gotten sick or even died as a result. It’s considered okay for some states to kill condemned prisoners in a properly vetted procedure, but not via infection. Yet another ultra-close call case is that of Warren Lee Hill, a man with the IQ of just 70. Hill received a life sentence for murdering his girlfriend in 1985. Five years later, he beat another inmate, Joseph Handspike, to death and was given the death penalty. In July of 2012, just a few hours before he was to be executed, he was given a stay of execution. Later, on February 19, 2013, he was once again to be executed -this time, a stay of execution was granted a scant 30 minutes before he was to have the lethal concoction of chemicals course through his veins. To date, he has received four stays of executions and as of the publication of this article, he hasn’t been executed yet. In as close of a call as you can get -though this time the individual was not subject to lethal injection -Caryl Chessman was given a stay of execution so near to the set execution time that it ended up being too late. In 1948, Chessman, who’d robbed various people and raped several women, was sentenced to die via the gas chamber. After garnering support from the likes of Billy Graham and Eleanor Roosevelt, he was granted eight stays of execution. The problem was, in the last one, it occurred about one minute before the execution was to take place. The secretary of the federal judge who’d granted the stay accidentally dialed the wrong number. By the time she realized her mistake and called the correct number, the cyanide pellets had been dropped. At this point, there was nothing that could be done to stop the execution, and Chessman died. The lethal injection procedure usually employed by prisons involves first introducing a saline drip, then injecting the condemned with a general anesthesia, hopefully which won’t have worn off before the fatal fluids have done their work. Once the condemned is unconscious, some chemical is used to cause death via cardiac arrest. To achieve this, usually Pancuronium bromide is injected, resulting in the individual ceasing breathing. After the Pancuronium bromide is introduced, Potassium chloride comes next, which stops the heart.